Around since 2005, peer-to-peer (P2P) lending provides a unique lending experience that can be beneficial for both investors and borrowers. Unlike a traditional loan, which is funded by a financial institution, a P2P loan is funded by investors who want to make money off the interest that the borrower pays. Because of this difference in how the loans work, they have their own unique advantages and disadvantages. To understand P2P loan advantages and disadvantages, it’s important to understand how these types of loans work. There are many P2P lending sites available where borrowers fill out loan applications. These applications are similar to what you would expect with any other type of loan, as you fill out your personal and financial information. The lending site checks your identity, your employment and your credit before deciding whether to accept your loan application, and putting you in one of its risk categories. There are two common P2P loan options. You may be able to choose between these two options, but that also depends on the site that you use. For the first, lenders can choose to fund your loan at an interest rate determined by your risk category. For the second, you set up your loan request as an auction at a specific interest rate. Lenders then bid on your loan, and if the loan receives full funding, lenders can place bids for lower interest rates to get the right to fund your loan. Loan funding is typically spread out over many investors. Lenders choose which loans to fund using the information in the loan request. This information includes the borrower’s credit score and risk category, but the borrower can also often include additional information, such as why he’s requesting the money and his personal story. P2P loans have several benefits for borrowers and lenders. While interest rates on a P2P loan vary, they typically are moderate and lower than a borrower would get through a credit card but higher than he would get through a bank or credit union. Banks and credit unions are still superior options over P2P loans, but their lending requirements are also stricter, so a P2P loan is an affordable alternative for borrowers who don’t meet those minimum requirements. The interest rates on P2P loans also make them a worthwhile investment for lenders. They can likely make a higher return than they would investing in the stock market, unless they were very skilled at picking the right stocks. P2P lenders also have control over how much risk they take on. They can minimize their risk by only funding loans with an annual percentage yield (APR) of about 20 percent or less, or they can go for higher profits by funding loans with 24 to 36-percent APRs. It’s almost always better for lenders to choose lower-risk loans, though, as they still provide a great return with less worry of losing money. If a borrower is carrying a high amount of credit card debt, then a P2P loan could boost his credit score. With FICO credit scoring, 30 percent of a person’s credit score depends on his credit card debt. However, credit bureaus classify loans as installment debt and credit cards as revolving debt, since they work differently. This means that if a borrower pays off credit card debt with a P2P loan, he’s lowering his credit card debt, which will raise his credit score. Having different types of debt is also better for a credit score than having one type of debt, so this will also benefit the borrower. Another benefit for borrowers who have high-interest debt already is that they can consolidate their debt with P2P loans. By paying off multiple high-interest credit cards with a P2P loan, a borrower reduces the amount of interest he pays and only needs to make one payment per month, instead of several. The application and funding processes with P2P loans tends to be much faster than it is for loans through banks or credit unions. The application itself can take just minutes, and loans are often fully funded with the money in the borrower’s bank account in less than a week. Compare that to the application process for a bank, where you could be waiting weeks to receive a decision and, if approved, to get your money. When you don’t have time to wait, a P2P loan is much more convenient. Of course, it does depend on your loan receiving funding, but P2P lending marketplaces are usually active with plenty of investors around. If a borrower needs to get another loan, he’s likely to get better terms the second time around. After a borrower has paid off a loan, he’s seen as less of a risk by the P2P lending site, which qualifies him for a lower interest rate. 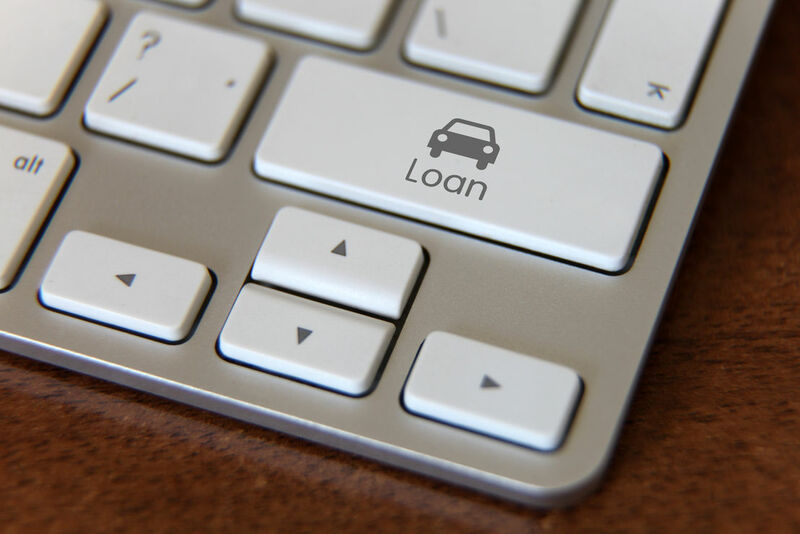 Lenders also prefer borrowers who have already paid off a loan before, so when a borrower has done so, it’s easier to find funding for subsequent loans. There’s a strong sense of community among P2P lenders and borrowers. One benefit for lenders is that they’re able to take a borrower’s story into account and fund causes that seem worthwhile to them. It adds a personal connection that is often absent with other types of investments. Although the lender is still making a profit as long as the borrower doesn’t default, there’s still a charitable feeling to making a P2P loan. Of course, P2P lending has its drawbacks for both borrowers and lenders. Although a P2P loan is easier to obtain than a loan through a bank or credit union, that doesn’t mean the requirements are completely relaxed. A borrower will still need at least a decent credit score to qualify, and the interest rate he receives for his loan will depend on his financial history. Borrowers with bad credit won’t be able to obtain P2P loans in most situations. There’s also the fact that borrowers essentially need to provide their private financial information for anyone on the P2P lending marketplace to see. This is one area where a bank is at a distinct advantage, as borrowers don’t feel like as many people are seeing their financial information. While lenders may not be able to identify a borrower based on the information in a P2P loan request, that request will still have quite a bit of the borrower’s personal information. While lenders can make solid returns from P2P loans, those returns also come with a risk. The money that lenders issue on loans is usually uninsured, meaning that if the borrower defaults, the lender loses whatever they put into the loan. Lenders can reduce their risk by sticking to borrowers with better credit scores, but they can never be completely sure if a borrower is going to pay back what they owe. There’s also the risk of funding a loan just because the borrower wrote a touching story in his request that clouded the lender’s judgement. Since a P2P lending site facilitates loans and the lenders get all the interest that borrowers pay, the sites themselves charge closing or origination fees. Like interest rates, these fees also depend at least in part on borrower credit scores. Fees start at 0.5 percent of the loan amount, but could be as high as 4.5 percent, so they can cost borrowers a significant amount. Investors who are used to the stock market may find that P2P lending requires an adjustment period, as they can’t just sell whenever they want. Once a lender funds a P2P loan, he is committed to that loan for the length of its term, which could be years. On the bright side, this helps lenders avoid one common investing issue – panic selling. Given the loan advantages and disadvantages, are P2P loans worth it for borrowers and sellers? For borrowers, the best long-term installment loans are almost always still loans through a bank or credit union. Because of their size, those financial institutions are able to offer the lowest interest rates. However, P2P loans are a solid alternative for borrowers with good-to-great credit. They’re worthy of consideration for borrowers who either can’t get bank loans or don’t have time to wait for one. For lenders, P2P loans are a good investment opportunity that allows them to diversify their portfolios. It won’t lead to overnight riches, but anyone that expects that from investing will likely end up disappointed. With smart lending decisions, lenders can grow their money with returns higher than they would get through a certificate of deposit (CD) or index fund, and they’ll be helping people in need while they do so.